This might be sort of silly, but I love mugs. Lots of people do. It’s pretty normal. But I made a rule for myself to curb the habit. I don’t buy mugs unless they give me inspiration. It’s turned into a writing exercise that helps me justify my shopping. I write little snippets about what’s inspiring about them, or what the mug inspires me to write about, or what it reminds me of. 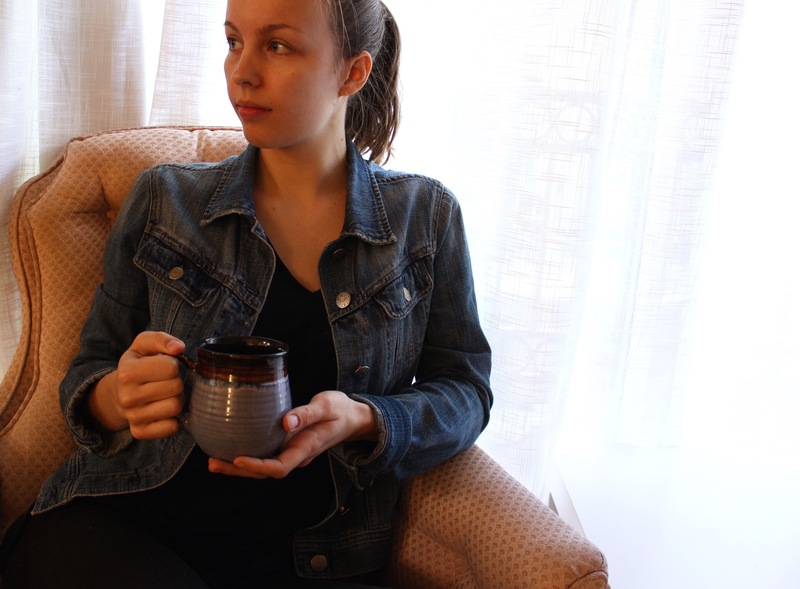 Then I make sure I drink my coffee or tea or smoothie or water out of it when I’m writing that part of my book, or when I need that kind of inspiration… It’s very possible this is merely a subconscious excuse to buy more mugs. Pick something around you that brings words to your mind. I use mugs, but you can use anything. An object, a person, a landscape. Set aside thirty minutes or an hour, however much time you have, to write. Set a timer so you know you are respecting your time. Commit to the time. Devote 100% of your mind to the task. And don’t look at the clock, because the alarm will ring when you’re done. Unless the object you’ve chosen to write about was a clock. Make a beginning, middle and end. It doesn’t have to be a story. I usually just write my thought process. But what I write (I like to think) is a complete thing. Even if it’s small, it’s important to finish what you start writing. That will be something to hold onto if you try to write something longer, like a book. If you can finish a three paragraph description of a mug, you can finish a 5,000-word chapter, or a script, or a poem. Before you begin, choose what you want to focus on. Some days when I write, I become painfully aware that my descriptions are lacking. So when I write about a mug, I focus on descriptions. Sometimes I focus on sentence structure, or writing more emotionally, or writing less emotionally, or being very intentional about word choice and variation. Don’t get up from the chair until your time is up. Sometimes, I sit down and my mind goes blank. Doesn’t matter. I sit until my time is up, even if I only write four very terrible sentences. Even if it’s terrible, it’s writing. In my mind, it doesn’t matter how good the writing I did yesterday was, just if I did it or not when I try to motivate myself to write again. Write about how it looks, how it makes you feel. The color, what it looks like in different light. Why it could be significant to someone. Why you hate it. Write something, because in the end, that’s what counts. My thoughts on mugs are not any sort of literary genius. They’re simply me working on bettering my writing with an exercise that I enjoy. And pictures of beautiful mugs.